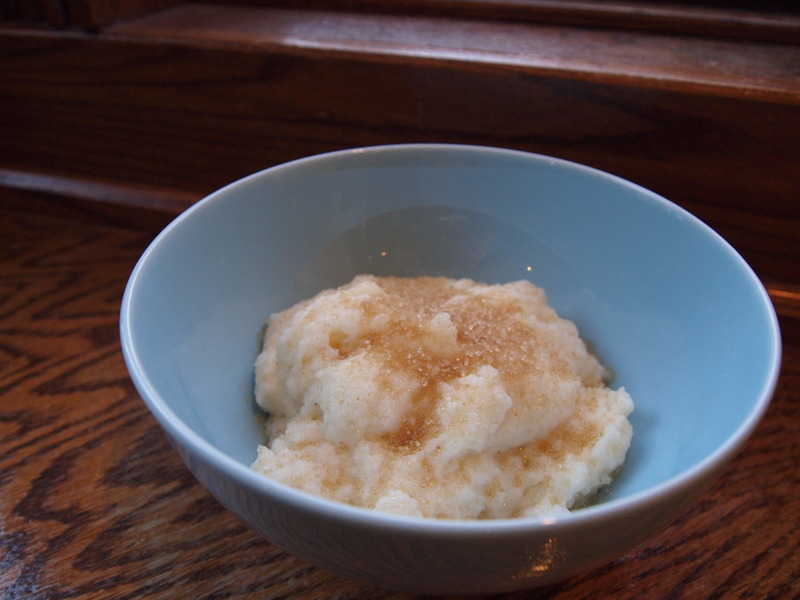 Cream of Wheat--Not just for your Grandmother. Growing up on a farm, as cliche as this sounds, we had hot breakfasts most mornings. My favorite hot cereal was Ralston, which is hard to find nowadays. Another favorite was and is Cream of Wheat. I introduced Cream of Wheat to my children when they were babies. They love it. In case you’ve forgotten about it, I’m here to remind you. Let’s be clear–I’m not talking about the prepacked, pre-sugared instant stuff. Yuck. 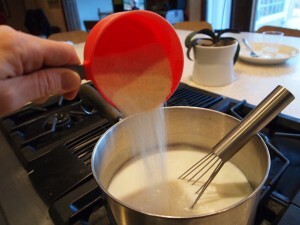 I’m talking about the stuff you add to boiling milk to create a creamy hearty goodness. I buy mine in the bulk section of Winco or Whole Foods (where it is actually labeled farina).You’ll find my method below. And don’t get me started about potential mix-ins or toppings. That could be a whole other entry. Enjoy. In a large saucepan over high heat, bring two cups of water to a boil. Add milk. 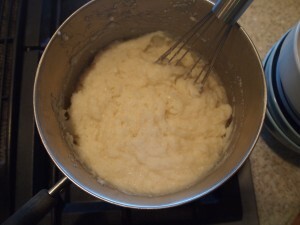 Once both milk and water are brought to a boil, slowly add Farina/Cream of Wheat while you stir with whisk. 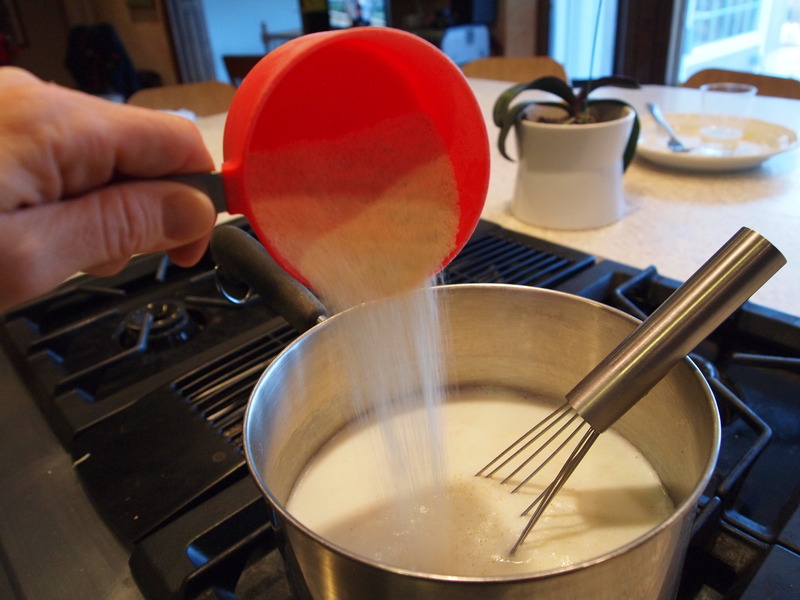 Stir constantly over medium heat until cereal thickens (about 5-7 minutes). After cereal thickens, off heat and continue stirring. It may appear a little lumpy and that’s ok. All the better to scoop with your spoon. Divide into four bowls and serve with various toppings. Add ins: As cereal starts to thicken you may add raisins (regular or golden), craisins, coconut, or various nuts. Toppings: The very best part–Fresh berries, cinnamon sugar, honey, butter, rasbperry jam (my personal favorite), brown sugar, turbinado sugar, or anything that sounds delectable to you.